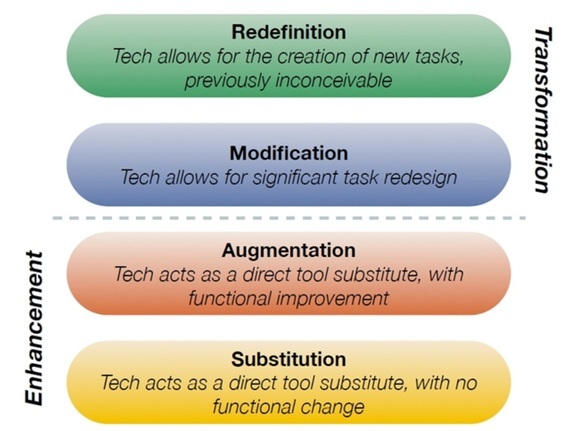 Last term I blogged about the planned use of the SAMR scale in my Year 13 Geography class. The teaching of this unit took place in the final weeks of that term, so now is an opportune moment to reflect and update the progress of this unit. The planning of the unit reflected my desire to account for, and more fully utilise, the extra teaching time that should be released to me due to my Substitution of note taking in class, for the delivery of class notes using OneNote. Last year, my first year using OneNote, I reflected that I was not satisfied with the amount of extra teaching I was able to do to help my students apply the understanding of the material presented in class. I simply could not adequately account for that time. As part of my planning of the unit, there were specific tasks that I incorporated in order to help student apply the new knowledge, rather than copy it down. 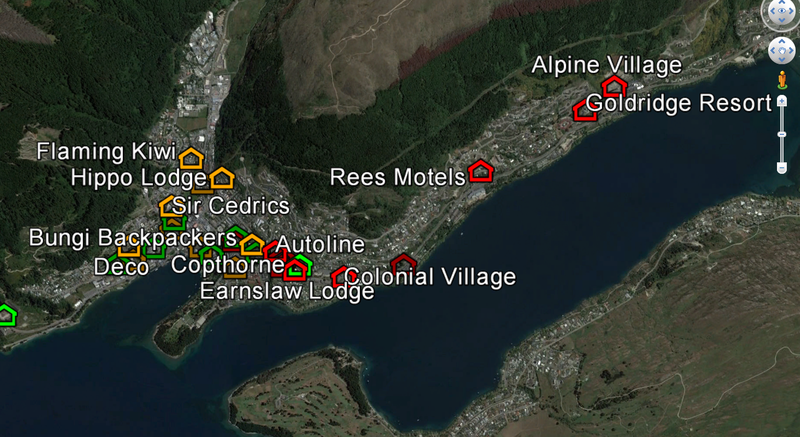 One of the most engaging tasks within this unit was using Google Earth to create a resource that identified the spatial patterns that Tourism Development has created in our Geographic Environment; Queenstown. As you know, Google Earth is awesome. In our case we were interested in the spatial variations in the locations of visitor accommodations; specifically Hotels, Motels, Backpackers and Luxury Lodges, and attractions; both allocentric and psychocentric. A more ‘traditional’ approach would be to have students develop a paper map resource with the specific examples accurately mapped; in fact this approach may well form part of an answer that a number of my students choose to complete during their November NCEA examination. However, by doing a similar task using the Placemark feature of Google Earth, students can create a resource that is much more adaptive and maliable. The students found the completion of this task engaging and motivating. After an initial period when a few of them wondered what the purpose of the task was, it quickly became evident to them the power of the layered approach of the data. When it came to discussing and recording the detailed reasons why the spatial patterns existed the students were easily able to create links between the location of accommodation or attractions, and the topography and infrastructure of Queenstown particularly. The final aspect of the task was adding this summary understanding to the map. 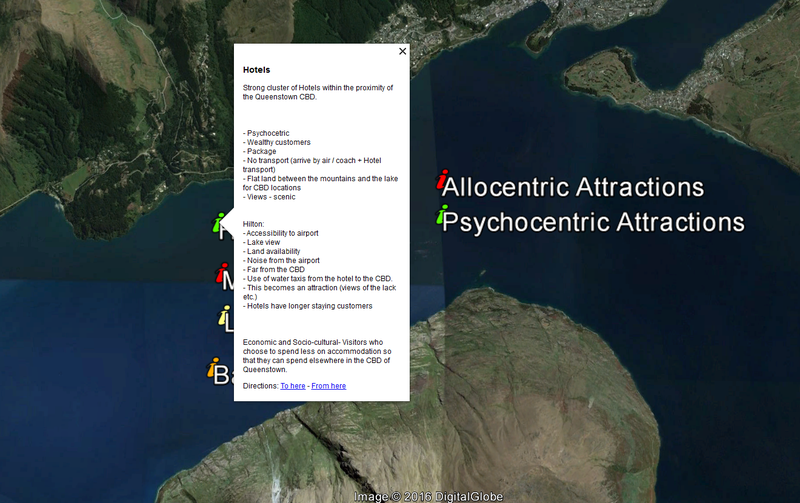 This was done by adding a final layer of Placemarks and entering our summary information to the map. Upon completion the placemarks could easily be exported, saved, and shared as a single .KMZ file. A pleasing aspect of the task was the enthusiasm of the other Year 13 Geography Teachers at St Andrew’s College inviting me into their classes to replicate the task. These students were also fully engaged in the task, and the feedback from these staff was extremely positive. It was great to see a wide range of students, with extremely varying levels of experience with technology, being able to articulate the benefits of the task structure. Hopefully we will see reinforced student understanding of this content when it comes to my revision program for their upcoming examinations!